Alan looking to complete Thames Bridges Trek! Message from Melinda Cracknell, Co-ordinator, Friends of Haslemere Adoption Centre: Thank you to all who donated. Our Friends' Group Reporter has penned the following: On Saturday 8th November, the Friends' of Haslemere Adoption Centre manned a Stall at the Charities Fair that is held annually at Haslemere Hall. This was the 31st year since the event began and it is the only multi-charity market in Haslemere's calendar. It is aimed at not-for-profit organisations and we always grab the chance to be there to raise funds for the Adoption Centre, this being the main role of the Friends' Group. Early starts not being popular, our Stall was set up at Haslemere Hall the night before. 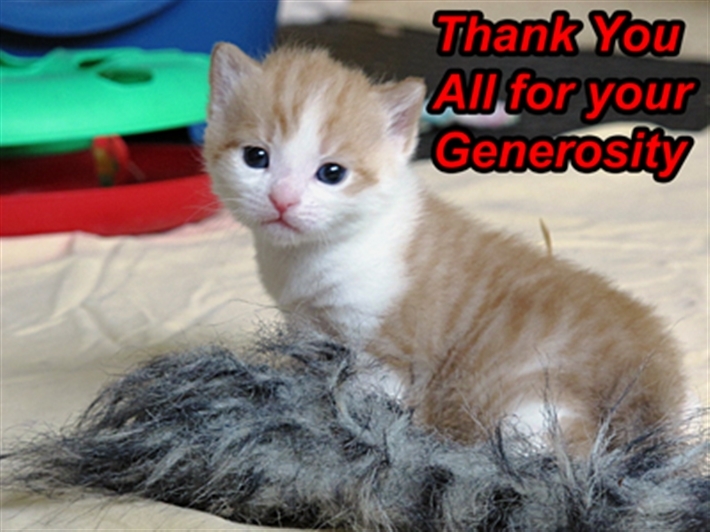 Many thanks to Paul from the Adoption Centre who delivered all of our items and equipment. Ursula, our Secretary, had her niece Finney, aged 6, staying for the weekend and Finney helped me don the Cat Outfit and then led me round the Hall. 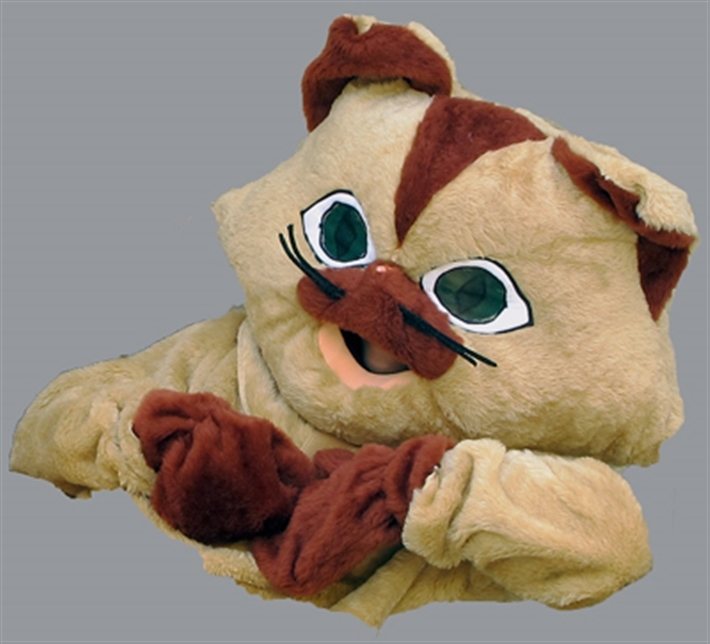 Once fully 'inserted' inside the enormous furry outfit, external visibility is rather limited! Finney also handed out CP balloons and badges to other children, a task which she did marvellously.I lasted for one hour as a Cat, before life inside the costume became too hot. I suppose I could have curled up and had a nap, which would have been a very true-to-life Cat response to such a situation! Many thanks to all who visited our stall and those who help keep the Friends' of Haslemere Centre Group active. The Friends' Group wishes to express heartfelt thanks to the young people above for their most generous donations. 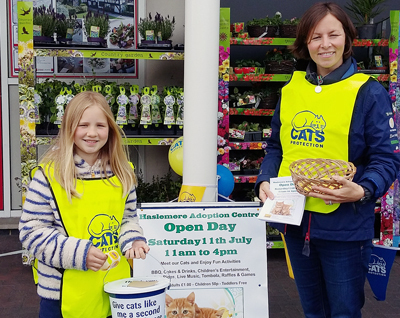 All Monies raised by The Friend's Group is used within The Haslemere Adoption Centre for the benefit of the resident Cats.